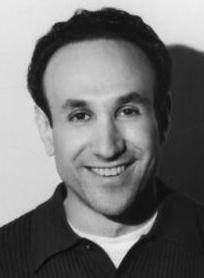 Carl Kissin has written and performed, as he puts it, “4,000 plays and several thousand musicals.” By that he means that many improv shows and musical improv shows over the course of 13 years with the Chicago City Limits (CCL) comedy group in New York (in his first two years, in the touring company). Since leaving the group, he has been teaching improv at Makor as well as a Sunday drop-in class (which doesn’t require a multi-week commitment) at the 78th Street Theater Lab (for details, see www.carlkissin.com). Kissin also writes and performs his own solo comedic pieces and monologues. His perspective on improv is that improvisational performers are writing their sketch or play in front of the audience, and should let the audience in by showing that their suggestions are part of the process. He would like to see proponents of “short-form” and “long-form” be more open to each other’s favored style. Jester spoke with Kissin about what he’s learned and what he teaches. Jester: How do many different forms of comedy compare -- such as clowns, improv, stand-up and sketch comedy? Carl Kissin: Once CCL had a Q&A with the audience and someone asked what we thought made someone a good improviser, and another cast member said ‘Being a good improviser is being a good liar.’ I come at it from a completely different perspective. Being a great improviser is being a great truth-teller. I’m always looking to find something truthful in what I do, and then some exaggeration of the truth or twist on the truth. If I don’t feel like what I’m doing on stage has some reality to it or some believability, then the audience won’t be along for the ride. But sometimes it can go beyond that. In the drop-in class I teach, I once encouraged a student doing a scene to choose to elope with her boyfriend in the scene, and she argued that she wouldn’t do that in real life. It’s not just what would you do as yourself, it’s whether it’s believable that the character you’re playing could reasonably consider doing that action. If so, then you have to go with that, or it would be blocking. It’s not just what you would do -- that would just be you playing you. About the types of comedy and roots of comedy, there’s some primordial seed, some big bang theory that is the seed of comedy, and then there are all these different angles on it and perspectives -- clowning, sketch, stand-up can be very different, yet there’s a lot of commonality among all of them. I took a clowning class a few years ago with a Russian clown who had been one of the main clowns in a Cirque du Soleil show. When he would talk about a basic clown scene, [goes into Russian accent], ‘The character has desires or a need to do something. Then there is obstacle. You work against the obstacle. You try to overcome the obstacle.’ When I describe a narration to my students I don’t describe a scene quite that simplistically, although I could. But in a narration at its simplest form -- main character, has a quest of some sort -- a need or desire; there’s an obstacle in the way. You don’t want to overcome that obstacle instantly because then you don’t have an interesting story. J: In acting classes, they also talk about objectives and obstacles, but how is it different for comedy? I try to do exercises in my classes on the same theme, and Woody Allen did ‘Melinda and Melinda’ on this same theme of drama and comedy, and what distinguishes the two. For me in comedy, you’re usually exaggerating something further. You’re taking a premise or a hook, finding a game, and making it more extreme. Or sometimes you keep one solid thing of truth in the ground, and then have one variable that just gets crazier and crazier. For instance, the story about a guy wanting to be an opera singer and not making it would show this man’s life and where he fell short and how he acted as a result of falling short. Comedy would take it further -- either the guy has a terrible voice and imagines himself to be great, or is a genius in the shower but panics when he’s in front of a real audience. You would take something that has all the semblance of his reality but exaggerate it to become more absurd or extreme. It’s a very real thought that someone could be really great in practice but then panic at auditions. It’s even more exaggerated to have them be a genius in the shower, and eventually they would set up the world’s only shower theater. People would come from miles around to hear this guy sing in the shower on the stage at the Met. J: What do you see as the differences between short-form improv and long-form? CK: I have noticed within the improv world that there are people who seem to look down their nose at short form. That bothers me because like anything in life there’s good and bad within whatever the category is. Within improv, I’ve seen horrendous long-form and brilliant short-form and vice versa. To say long-form is so much more sophisticated -- it isn’t if it’s done really poorly. There are aspects of CCL’s shows that most people would call short form that are longer scenes than in long form. In the most standard long-form format that you might teach [known as the ‘Harold’], of doing three sets of three scenes where someone finds the game, heightens the game and someone edits them, that person often doesn’t get to complete the scene. To me that’s shorter form, while in CCL, a scene goes from beginning to end. That’s a longer form. I’m not saying people aren’t allowed to have an opinion on what their favorite mode of improv is, or comedy, or theater. Some say they hate clowns. But there’s Bill Irwin, who did some brilliant clown shows, not to mention others. There’s always people who will re-define forms and take them to higher levels. Even within that, I’ve always felt you can try to tread new ground, which is quite difficult but always a delight when it is witnessed, when someone’s boldly gone where no one’s gone before. Then there’s doing the same ground that everyone else has done, but finding some new spin on it, or putting your own voice or stamp on it. A lot of times in comedy, people will ask if someone has a unique voice. It’s easiest to see it in stand-up where you can go to a club and watch a lot of very funny people and you’ll laugh, be there laughing all night; and you’ll go home and say ‘I don’t remember anybody. I laughed a lot but I don’t remember their routines.’ But I suspect if you saw someone like Steven Wright on that same night, you would say, ‘Wow that was really different. He was so quiet. He said these absurd things and I really liked it.’ Or they really remember it. It’s always thrilling to me when I see a comic that has their own voice. I don’t see that as much with improvisers. There I just see people who are more skilled than others. Sometimes with improv, it’s how many different skills you bring to the table well. Sometimes I see improvisers who are fantastic in their head. They just want to stand planted and say brilliant things. If they’re really brilliant it can be a joy to watch. Then there are others who are really good actors and do wonderful space work and mime, and everything they say feels very real to you. Both of those can be a joy to behold. J: Is a group better if it can break out of the standard long-form format and go in all different directions? CK: It’s both. It can be either from more skill or less skill. For some groups it goes nowhere, while some groups are so good they can break more rules. I’ve seen some people -- TJ and Dave, and Burn Manhattan (now Centralia). Centralia just starts moving. They don’t ask for a suggestion. They just start going into scenes with physicality. TJ and Dave tell the audience before they start that they’re going to improvise, just trust them, no two shows are the same. Neither group asks for a suggestion. They just count on an act of faith that the audience will believe them. However, different groups approach the Harold differently, with some seeming to meander or not follow a structure. That brings to mind a pet peeve I have with long form. If a group asks for a suggestion, it’s important to show the audience the connection to the suggestion they gave. Some groups, if they got the suggestion ‘shoe,’ they think in their head, ‘Shoe. Sock. Sock puppet. Puppets. I’ll do a scene about puppets.’ The audience might think, ‘We called out shoe, what does that have to do with puppets?’ Sometimes they may show those threads through an opening game or word game. They may show those connections, but I think if you ask for a suggestion, you need to show the audience how you’re using that suggestion. J: Is it OK for someone to whip out a character or mannerisms they have? CK: I’m not wild about it. My desire is to show the audience you’ve taken in their suggestion and are working with what they gave you to create something wonderful right away. The reason I don’t like just automatically using a set character is that you’re not listening to the other person first in a scene. Let’s say a scene starts with a doctor and patient, and the patient says, ‘Doctor, I’m concerned about my heart,’ and I think I’ll do my angry plumber character, just turn him into a doctor. I don’t like that, I think you should take in what you got from the other person. The exception I’d make would be if you have a character that fits and works for that opening, then sure you could do it, but otherwise create a new character.